HUNDREDS of new school places are planned in Leeds but new figures reveal an increase in pupil numbers has left 82 schools in the city full or overcapacity. 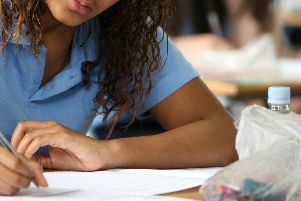 The National Education Union (NEU) has accused the Government of “inadequate planning” for the increase in pupil numbers, and argued local authorities should be allowed to open new schools. In February, proposals to create more than 400 new school places for pupils were given the provisional go-ahead by decision-makers in Leeds. Leeds City Council’s executive board gave the green light for £20m proposals to completely rebuild Benton Park Secondary School, in Rawdon, to move on to the next stage. Members of the board also provisionally approved a £5m plan to expand Moor Allerton Hall Primary School in north Leeds. The Moor Allerton Hall plans would create at least 200 more places for pupils at the school. The council currently has a shortage of school places in parts of North Leeds, and needs to create more of them sooner rather than later. And it was revealed last month that new schools for children with special educational needs are to open in Leeds and four other areas of Yorkshire after local leaders successfully bid for government funding. The five schools, which will provide more 500 new places across Yorkshire and the Humber, will have the capital costs paid for by the Department for Education (DfE) but day-to-day revenue costs picked up by councils. The schools will provide specialist support and education for pupils with complex needs such as autism, severe learning difficulties or mental health conditions, and those who may have been or are at risk of being excluded from mainstream schools.